What is FOMO anyway? 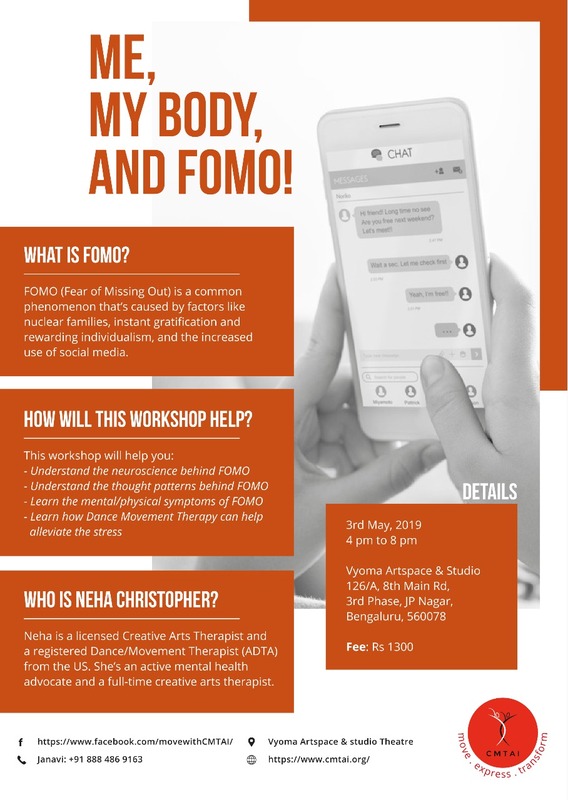 Although the term FoMo (fear of Missing out) is relatively new, the phenomenon itself has been around for a long time! Some of the factors attributing to it include, rise in nuclear families, rewarding individualism and increased use of social media.. 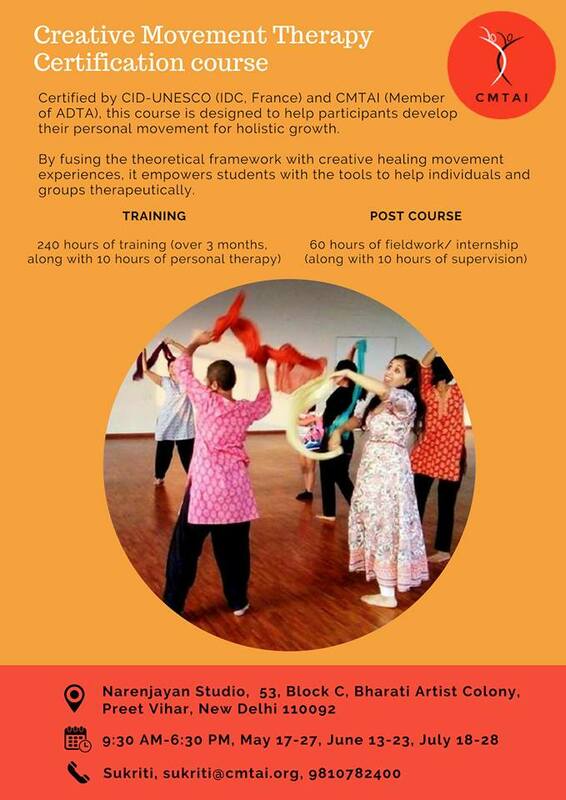 Annual Certification course in Creative/Dance Movement Therapy in New Delhi, 2019. We take pride in our one of a kind program which engages in the highest quality of training through handpicked faculty vetted for their academic qualifications and experience.